All new and something good for our eSIM friends. Just click and read them! eSIM Series #4: How Does eSIM Technically Work? We have been talking a lot about eSIM (eUICC) and its advantages. As you know, it is an unlocked SIM card that enables you to swap between carrier services “over-the-air” without the need to physically change the SIM card. But, we owe you some more explanations about what eSIM really is, how it technically works, and why you need it. 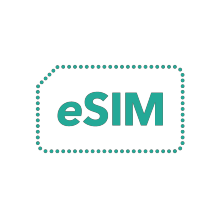 1oT is launching its eSIM (eUICC) at Mobile World Congress 2019 this February and as this launch has proven to be an educational journey for us we believe this knowledge should be shared. We would like to serialize this blog post as the third, following our previous posts, "eSIM Series #1: Clearing the Confusion around eSIM" and “eSIM Series #2: Challenges for eSIM to Overcome”. With this post, we would like to shed light on one of the main cornerstones for choosing the correct eSIM and the Remote Sim Provisioning platform. 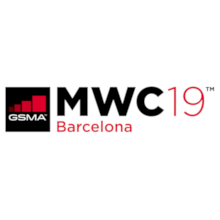 1oT is happy to announce that it will launch its eSIM (eUICC) at Mobile World Congress 2019 in Barcelona! We will keep you tuned about the launch closer to the date, but first, we would like to initiate our eSIM blog series to share more insight on this field. Since in May'18 we wrote about eSIM in the post called "eSIM Series #1: Clearing the Confusion around eSIM" then let's call this post #2. We start from the basics and are talking about the challenges that are hindering the eSIM’s take over of the IoT domain. It’s been more than a year and a half since we released our first blog post about eSIM and why it represents the future of SIM technology. Still, today there is much confusion on the internet over what eSIM actually means, it’s strengths, and how it actually works. Let’s dig into the topic and find out.